It’s no secret Hollywood is dominated by liberals. An army of actors, directors, producers, and writers faithfully executive the marching orders of the Democratic Party platform. But one Hollywood actor is pushing back against the progressive narrative. Trump Derangement Syndrome has reached peak levels. Every day, Hollywood bigwigs rip Trump and his associates for every microscopic thing. Actors like Johnny Depp and Madonna openly fantasize about assassinating Trump. Late-nite comics like Samantha Bee call Ivanka Trump a “feckless c*nt” for not disowning her father, or something. Jim Carrey, inspired by far-left rhetoric on MSNBC, creates vile art pieces portraying the Trump administration as grotesque figures. Other actors organize endless rallies and marches around vague causes, or peddle conspiracy theories about collusion with Russia. However, not all players in Hollywood are on the left. There are a few prominent conservatives who are big enough to be open with their political views: Clint Eastwood, Tim Allen, James Woods, et al. But most have been pushed underground and must stay silent in order to work in the business. Woods was recently dropped by his agent for simply expressing his opinions on Twitter. 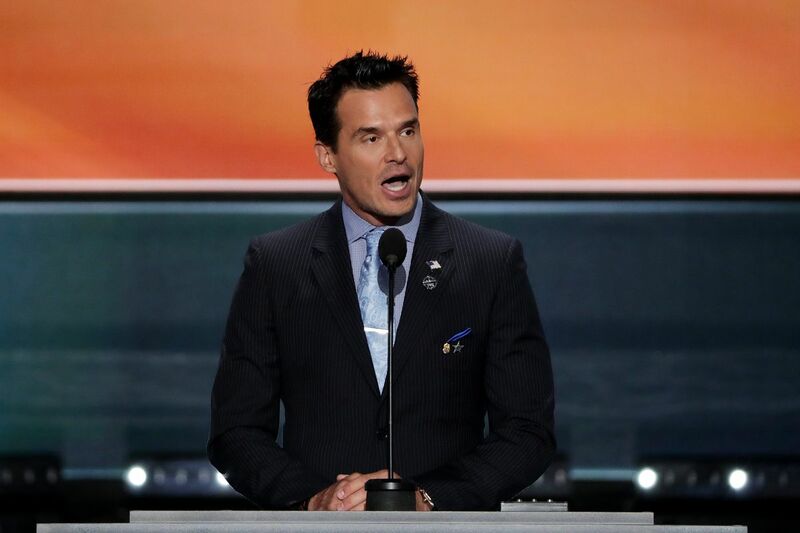 Antonio Sabato, Jr. is another actor who’s been unafraid to speak his mind on a host of issues, particularly immigration. Sabato is Italian, and emigrated legally to the United States in the 1980s. Subscribe to our channel! https://goo.gl/UGHkXA Antonio Sabato Jr, an Actor, Immigrant and California congressional candidate says he fully supports President Donald Trump’s promised wall along the U.S.-Mexico border. Want to see more? As Sabato pointed out, illegal immigration costs the country roughly $126 billion annually. Proponents of illegal immigration say they’re a net benefit on the economy because they do the jobs Americans won’t do, and they contribute via sales tax, or income tax if they’re using a fake social security number. First, the argument that illegal aliens are needed to do menial tasks Americans won’t do is insulting to both illegal aliens and Americans. Second, any amount of taxes illegal aliens pay is outstripped by the welfare benefits they may receive, and the strain they put on social services such as health care, education, and prisons. Aside from breaking the law to get into the country, most illegal aliens aren’t committing crimes in the United States, but some do. Almost one-third of all federal prisoners are illegal aliens. Besides, just one crime from an illegal alien is a crime that could’ve been prevented. Sabato’s status as an immigrant has rankled the left; they can’t understand why an immigrant wouldn’t be for open borders. What the left fails to understand is that Sabato isn’t alone in his sentiment. One poll showed that Trump’s approval numbers among Hispanics increased after the mainstream media ginned up the “crisis” of family separations (that received virtually zero press attention under the Obama administration). People who worked hard and followed all of the rules to come to America are angered by people who not only cut in line, but receive special treatment from progressives for doing so. Several cities in California are rejecting sanctuary state status, so perhaps the progressive haven is beginning to wake up. Hopefully Sabato can get to Congress and make some noise.